Branded car accessories make very good Car Promo gadgets to use in your vehicle; they have great functionality, and they will certainly help to boost your brand image. 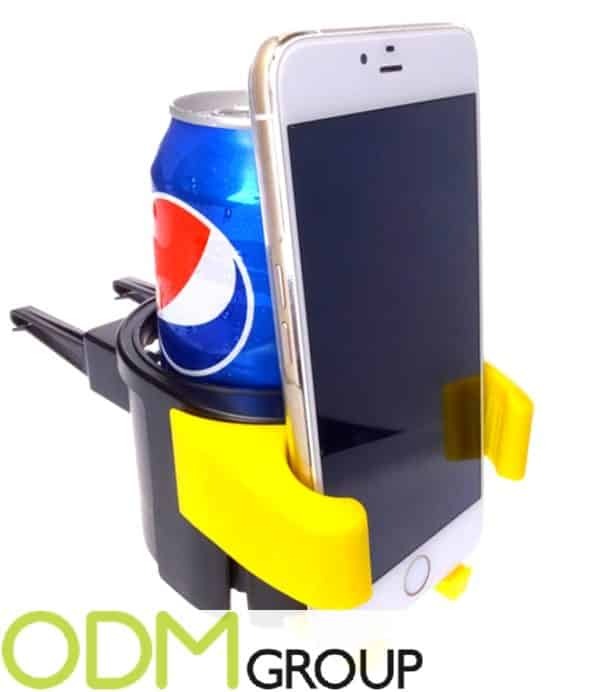 This 2 in 1 Phone and Cup Holder is another perfect accessory to consider for your next Car Promo. With the double functionality, they can fit perfectly in your car to hold not only your phone, but also your drink in one viewable position! The cup holder can be attached to the air vent of your car with the clips in the back. When attached, the holder can hold your drink. On the front, there are clips that can be adjusted to fit your phone. Using a phone holder in your car is much safer, because then you can keep looking at the road instead of having to look down at your phone. Why do we like this Car Promo idea? 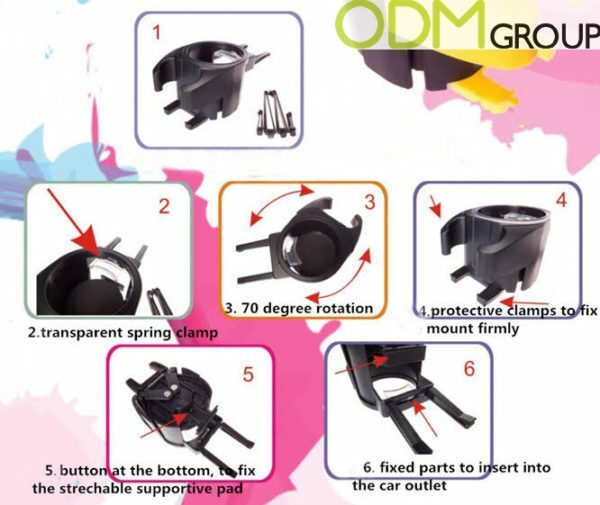 Brand value: Giving Branded Car Holders as free gifts, the image of the company could be improved and the interest to companies’ production could be increased as customers will receive a gift they can use. Customer retention: Everyone today is dependent on their mobile phones. You must be sure it could increase your customers brand loyalty and this Branded Car Holder is a great idea to capitalize on this market because these kinds of promotional gift will be appreciated by everyone. A good Car Promo gift means more people will remember your brand. Brand reinforcement: The logo of the company could be placed on this 2 in 1 cup holder, so everyone can see it, especially when taxi drivers would use it. The number of people who would see this hidden Car Promo is enormous.